Parvus Press LLC, 9780997661378, 410pp. Welcome to Peridot, where religion meets alchemy and the gods are not what they seem. 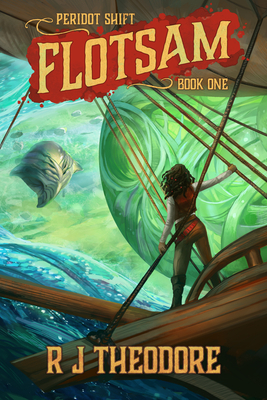 Steampunk meets First Contact in this lush fantasy adventure novel. R J Theodore enjoys design, illustration, video games, reading, binging on media, and cooking. She is passionate about art and coffee, lives in New Fairfield, CT with her family, and co-hosts The Hybrid Author Podcast and writes non-fiction as Rekka Jay. Find her online at: rjtheodore.com.